My name's Turnip and I'd like to welcome you to Open Eyes, a button request site. Through fair and friendly service, my goal is to bring you high-quality, original buttons that feature crisp images and easy to read text. After having some vivid dreams, you decide to travel to Mystery Island in search of someone who can help interpret your dreams. Walking along the sandy paths in the deep jungles, you've come to the conclusion that you're hopelessly lost. I must have taken a wrong turn back there, you mutter, wiping your face and taking a swig of Neocola. Out of the corner of your eye, you spot movement. There seems to be an islander up ahead so you decide to ask for some directions. Please take some time to fill out the Button Survey! Aug.21.2014 / Requests are closed. Requests are now closed. I'm planning on opening requests at Frequent Flyer next week so we'll see how it goes. Aug.20.2014 / Green tea ice cream! 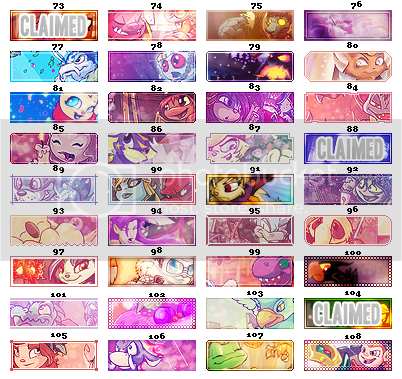 Aug.19.2014 / Requests still open for now! One of my buttons is being featured at Line Up. Thanks Cameron! Aug.18.2014 / I am Groot. Requests are open. This may be the last time I'm able to open requests for a while since I go back to my apartment at the beginning of September (so no access to any of my image editing software). Jul.15.2014 / Buttons, buttons, buttons! Requests are now closed. I may be opening them up again Thursday. Jul.14.2014 / Dates are wrong. Oh well. Requests are now open. I'll be taking the first 5. The button portfolio has finally been updated. I'm hoping to open requests again soon. Hopefully Sunday or Monday. The affiliate section has been updated. Spots are open so if you own a button request site (or any other type of premade and/or request site), feel free to apply! No requests sent in so requests are now closed. + 6 button requests; requests are open again. Requests are open! I'll be taking the first 5 forms. I'm a bit discouraged by the amount of button sites that are not crediting for Original OE border styles. Please respect the borders I've created for Open Eyes and (at the very least) provide linked credit back to this site. Thanks! As you enter the hut, Turnip turns around and upon seeing you, welcomes you with a warm smile. Ah, my friend, how have you been? I've been wondering when you'd be back. Please, come in and make yourself at home! Sitting down on a bamboo chair, you notice her pulling out two cups and filling them to the brim with Aged Tchea Juice. Noticing your confused gaze, she chuckles and says, I haven't always live in Mystery Island, you know. Eating Lost Desert cuisine now and then reminds me of home. It brings back a lot of memories. Giving a content smile, she hands you a cup and you take a tentative sip. Turnip gazes at you and asks, do you know what that means, my friend? Shaking your head, she continues on, there are two types of dreamers. The dreamers of the night are those who don't take control of their goals – they let opportunities fly by. You're a dreamer of the day, someone who takes action - carpe diem! Seize the day! You give a knowing smile as she goes back to sipping on the tchea juice. Searching for Turnip proved to be a difficult task, so you decide to return to where you met her in the first place: the forest where you got lost. Sure enough, you spot her walking along the sandy paths. She notices you from a distance and yells, ah, it's you again! I was just talking a stroll. Why don't we head back to my house for a chat? As the two of you enter the small hut, Turnip says, make yourself at home! She pulls out two cups, filling them to the brim with Aged Tchea Juice. Noticing your confused gaze, she chuckles and says, I haven't always live in Mystery Island, you know. Eating Lost Desert cuisine now and then reminds me of home. It definitely brings up a lot of fond memories! Giving a cheerful grin, she hands you a cup and you take a tentative sip. How did you come to live on Mystery Island? you ask. She smiles as you ask the question, as if knowing you would. I'm a traveller, she starts, and I always go from one place to the next. You see, I'm in possession of a mysterious artifact that doesn't allow me to stay in one spot for a long time. Taking another drink of the juice, you wonder what strange powers the artifact might have if it needs to be moved so constantly. Well, she starts speaking again, I absolutely love travelling. It allows me to meet different people, such as yourself! Turnip gazes at you and asks, do you know what that means, my friend? Shaking your head, she continues on, there are two types of dreamers. The dreamers of the night are those who understand that not all dreams are destined to come true. On the other hand, the dreamers of the day are the ones that take action, the ones that realize the full potential of their dreams. You are both a dreamer of the day and of the night. You take action, but find solace in knowing that perhaps dreams are only meant to be dreams. As she goes back to sipping on the tchea juice, you begin to understand the depths of her words. Sitting on the beaches of Mystery Island, you hear someone approaching behind you. You look back and realize that it's only Turnip, the dream reader you met. Ah, my friend, how have you been? I've was wondering where I could find you. May I join you? As you nod, she takes a seat beside you, pulling out two cups as filling them to the brim with Aged Tchea Juice. Noticing your confused gaze, she chuckles and says, I haven't always live in Mystery Island, you know. Eating Lost Desert cuisine now and then reminds me of home and everything I gave up. Giving a wistful smile, she hands you a cup and you take a tentative sip. Turnip gazes at you and asks, do you know what that means? Shaking your head, she continues on, there are two types of dreamers. The dreamers of the night are those who understand that not all dreams are meant to be. On the other hand, the dreamers of the day are the ones that take action – to make their dreams come true. You, my friend, are a dreamer of the night, but take comfort! That's not entirely a bad thing at all! Sometimes our best dreams are the ones that are impossible to act upon. This doesn't make them any less important. After some silence, Turnip says, I bet you're wondering if you made the right choice, giving up control in your dreams. Well, whether you like the end result or not, do keep in mind that I offer each person more than one interpretation. You give her a smile before taking another mouthful of the delicious Tchea Juice. As the sun sets over Mystery Island, the sound of shoyrus flying around in the sky can be heard in the distance. My name's Turnip, and I'm one of the best dream readers on Mystery Island! Now, I know you're anxious to know more, but trust me: it's not the destination that's the most important part – it's also the journey! From what I can tell, you're about to take quite an interesting one too. Important: Due to the neomail glitch, please do not write full links. Write "short" links like /~PETNAME. Credit is mandatory. Either keep the link on the button, use a link back button, or a text link is fine. Use the forms provided. I do make buttons for sites that haven't officially opened, but you're still required to provide a URL of the petpage where the site will be. You must have at least a layout up. If requesting for a guild, it must be a public guild. One button per request, one request per week. This rule does not apply to Not UFT buttons (i.e. you can request 1 Not UFT and 1 Custom button in one week). I do take requests for non-Neopets related buttons, but be sure that it's appropriate for Neopets. If your site is found to contain any stolen content or lack of proper credit, your request will be rejected immediately. If you've read the rules, copy and paste 'PS4ever :K' somewhere in your form. I do not use pixels or other "graphics" as images. I do not make buttons for other button request sites or if you already have 10 or more buttons that say the same thing. Provide me with as much details as possible. I'm horrible at following a "theme" so please don't just say "I want a flower theme" or "I want a blue theme". Give specific examples and/or images. Please do not delete the little "blurb" in brackets I write at the end of each form. It's to help me keep track of the storylines and to make sure I give you the correct "ending" when you pick up your button. First, let me ask you a question that will help me determine how to interpret your dream. In your dream, did you feel as if you had complete control over yourself? Did you know you were dreaming? Absolutely. I knew I was dreaming all along and I could direct my thoughts and scenery around me! In a way, I suppose I knew I was dreaming, but there's still a lot I didn't understand about my dream. I knew it was a dream but I didn't take control because I wanted to see what would happen next. I love surprises! Ah, I see, Turnip says as she looks up to the sky. You're fully in control of your dream and like making all of the important decisions. Still, my interpretation may offer you something valuable. The girl hands you a scroll and says, now is the time when your dreams begin to take shape. Please write Button request as your subject. Because of the large amount of images on this site, some animations may seem to lag. To best view an animation, drag and drop the button into the address bar. - 'Text shine' works best when I'm using large fonts. Don't use this choice if your site name is long! Ah, I see, Turnip says as she looks up to the sky. A dream that appears surreal and lifelike at the same time is very rare. Very well! I know what needs to be done! Note: the number of the button is above the base. Ah, I see, Turnip says as she breaks into a huge smile. It is interesting, yes? To know what you're dreaming but to not take control and leave your experience to the unknown. I suppose it speaks to your bravery, not knowing where the dream will take you but accepting it anyways. Completely custom: You choose everything about the button (image, border style, animation, text). 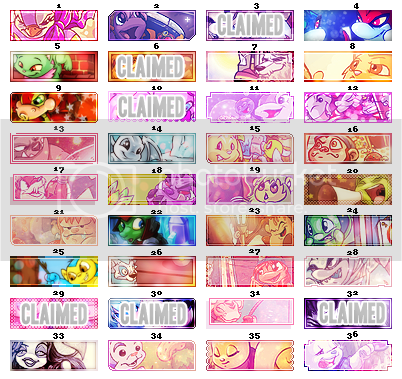 Claim a custom base: You choose which fully finished base you want for your button and I'll add the text and animation. Once a base is "claimed", it will be taken off the list (it will only be used for your site). Turnip's Pick: You choose the text only, and I choose everything else. The more freedom I have with your button, the more likely it'll turn out to be super spiffy! Not UFT/I'm UFA: These simple, non-animated buttons feature an image of your pet and a phrase like "Not UFT/UFA" or "I'm UFT/UFA". Before you send in a request, please take the time to read these rules carefully! Use the forms provided. Be sure to double check your form before you send it in. I do make buttons for sites that haven't officially opened, but you're still required to provide a URL of the petpage where the site will be. You must have at least a layout up. If requesting for a guild, it must be a public guild. Looks like you're ready to request! If you want to request through this site's story mode, go back to the home page, scroll to the bottom, and read through chapter 1. If you're fine with requesting the old fashioned way, let's continue! Look below to see which forms are available and click on the link to get to the request page. These are non-animated, simple buttons that are meant to tell visitors that your pet is or isn't up for trade or adoption. Use it on your pet's lookup, your lookup, anywhere! Some ideas for button text include "I'm UFA" and "Petname is not UFT". Please write Not UFT Button as your subject. If you know exactly how you want your button to look, this option's for you! This form lets you choose everything, from animation style to border design. Please write Completely Custom as your subject. - 'Moving' works best with less text. This is a great and easy option for people who want to know what their button will look like ahead of time. It also lessens the chance of you getting a button you don't like because all I have to do is add text and animation! Once a button has been "claimed", your base will be deleted from the selection below. Please write Custom Claim as your subject. With more freedom to do things, chances are your button will turn out more polished! Also, I may on occasion take this time to experiment with border design and animation, meaning you get an even more "custom" button. Please write Turnip's Pick as your subject. Hello, I hope you're well! After some consideration, I've managed to interpret your dream for you. I hope you're pleased with how it turned out! Thank you for visiting Open Eyes and requesting! - Don't forget to credit. - Finished buttons will generally remain on this page for at least 7 days before they're moved to the portfolio. - Some animations may seem to lag because there's a lot of images on this site. To best view an animation, drag and drop the button into the address bar. - If you requested a button through story mode but didn't get your secret link in your neomail, contact me and I'll send it right away! Premade buttons Buttons for special occasions (Christmas, Halloween, etc), buttons for lookups, and much more! General F.A.Q. This nifty F.A.Q is here to answer your questions about the site itself. Requesting F.A.Q. The Requesting F.A.Q only deals with questions related to, well, requesting a button! Examples of request forms How can you make things easier for me as the button maker? Click here to find out. Making a great button! Here are some quick tips for making super spiffy buttons (a.k.a. the small version of A Button Collection). Resources Placeholders, blank bases, and more! All three story endings Want to know how the story ends but don't want to find them all? Read this summary! Open Eyes' Promise To You I have a lot of goals for this site, but none are more important than this: providing high-quality service to you. Achievements, Gifts, & Other Goodies! Some rankings, previous features, and gifts made by visitors! If you'd like to see something added to the extras, feel free to send in your ideas and suggestions! To avoid any unnecessary complications with your button, it's best if you could be as specific as possible. Keep in mind that I make your button based on the information you provide. If you don't tell me to use a certain part of the image, chances are you'll be disappointed when I choose a different focal image. I can't read minds, only what you write in your form. Take a look at these examples. Border style: Honestly, it doesn't matter which border you use. However, I just don't want the widescreen, cushion, or normal ones. Even if your site hasn't officially opened, you'll still need to provide a URL. If you only provide the link to an image, then I'll choose a suitable focal point. If, however, you know what part of the image you want used for your button, tell me. I'll try my best to incorporate the type of font you want. However, keep in mind that sometimes it's just not possible. For a long site name like "Open Eyes", I could never use a cursive-styled font. These types of fonts are best for one word site names that are short. Just because it's a "completely custom" form doesn't mean you "have" to choose everything. If there's something you want me to choose, let me know. Also let me know if you have any options you don't want o be used. It's surprising but very few people use this "other" category to explain how they want their button to look like. In this case, I wouldn't be able to us the animation the requester wanted. Usually with text that is super long (like "ranked at" buttons), I use the "fade" animation for easier reading. Again, I'll try to incorporate what the requester wanted. In this case, I should be able to use both of the fonts they want since a "fade" animation allows for more room. Even though this is "Turnip's Pick", that doesn't mean you can't provide some preferences. However, I'll only take them into consideration if it works well with the button (i.e. suggesting bubble font when you have more than 5 letters in your text or less is perfectly fine). Have a suggestion for future premade buttons? Send me a neomail! Are you lending out items and other goodies? Advertise your service with these spiffy buttons! What sort of stuff are you into? Whether it's movies, music, or random things like striped socks, grab one of these buttons and let the world what you love. Looking for a specific avatar? Use one of these buttons to let others know what you're after! Want to link to your "update" section at your site? Use these spiffy buttons! Let visitors know your site is on hiatus with a small yet spiffy button. Need some spiffy buttons to advertise your shop or gallery? Need some spiffy buttons to advertise portfolio or other personal pages? Celebrate special events with these spiffy buttons! Use these spiffy buttons anywhere to show your team spirit! Here are my personal tips for how to making spiffy-looking buttons! Note: Buttons link back to their creators, not the site the button was made for. Text is the most important aspect of a button. A button is meant to advertise a site, and so the text should always be visible and easy to read. Text design will rely on a few things. First, how much text are you putting on a button. The more text you write, the more likely it is that using a "small" font will be the best choice (some popular small font examples can be seen below). Also, take a look at the amount of space you have on your button. If you have a lot of space, chances are you'll be able to use a "large" font and make the text big and noticeable. Using cursive-styled font is always a tricky decision because the text width is usually very thin. However, certain cursive fonts are completely fine provided that you do enough to make it "pop" (i.e. make the text easy to read and stand out from the button base). The font used for button #1 is "Stars From Our Eyes". It only looks nice if you have a lot of empty space to make the text nice and big. The second one is simply small font with a 1 pixel border, a soft drop shadow, and a faded outer glow - easy to ready and simple to design. Lastly, the third one is what you want to stay away from. The "large" font here is not suitable for buttons because the font width is way too small. The 1 pixel border makes it look low-quality and strange. Be sure to add those "static frames" after your animation finishes. You might be asking "what are static frames?" and the answer is simple. A static frame is where "nothing" is happening on a button. For example, let's say you're doing a sparkle animation from left to right. When the final sparkle finishes its animation on the right, you add frames where there is no animation (it's just the button with text and nothing's happening). Why are static frames important? It allows some breathing time between each animation loop. If your animation loop ends and jumps right to the beginning again, then it'll make the button look tacky and low-quality. The first button has no additional static frames at the end - the animation simply loops to the beginning. The second button has about 15 static frames (i.e. where no colour is running through the text). This allows for some breathing time between each animation loop and the button won't look so rushed or tacky. Create your own borders by hand. If you see a button border you like, rather than copy it into Photoshop and tracing over it, why not draw it by hand? That way, it'll be more original. For example, if you see a "cloud" border you like, stop right there. Open up an 88 by 31 image and draw the border from memory. If you copy and paste the button and trace over it, there's no effort there. Also, try not to "count" pixels (for example, the first curve of the cloud border is three pixels across then one down, so I'll do that too). Take the general shape and make it your own. Of course, for borders like "normal", everyone's will look the same. It's with more creative borders (like cloud, jagged, or 3D) that requires more creativity! Experiment, experiment, experiment! Don't think that just because you have a handful of borders and animations that you're set. Part of the fun of making buttons is experimenting with new button designs and getting inspired. The "widescreen" button border is an Open Eyes original design, and was inspired by the widescreen format of my TV! With the first button, the border is still black. This makes it stand out a bit too much and doesn't really add any style to the button. Additionally, the text border colour is pink but there is no pink in the base image. The second button is much more unified. The dark blue colour for the border and the text are both taken directly from the button base. Everything looks more in place. Make sure the image isn't blurry. The most common issue for new button makers is that their button base image is too blurry and isn't crisp or clear. A blurry image makes the button look low-quality. Especially when you're working with small images, the clarity of the picture will degrade with more texture layouts applied on top. Here's what I usually do to improve image quality. First, I duplicate the image base (in my list of layers, the two images should be at the very bottom). Then, I sharpen the upper image layer. If it's "too" sharp, I lower the opacity to help blend it into the image layer below it (i.e. the one that wasn't sharpened). Here's a comparison of button bases. One was left unsharpened and the other has been sharpened. While the one on the right isn't that bad (I've seen much worse button bases around), it's still not very clear. There is so much more detail to be seen with the sharpened image. Some "large" fonts just aren't worth it. While it's the fad to use large fonts to make your button look nicer, some fonts aren't really a great choice. With cursive fonts, be careful that it's not too "skinny". These typs of fonts won't stand out as much. For beginners, I would highly recommend using these fonts to experiment with: Impact, Hand of Sean, Bubblegum, and Casual. No focal image? No problem! If your button base doesn't use a focal image (i.e. it's a texture or abstract image), then you'll want to center your text so that you're not emphasizing a certain part of your button. For example, in the button below it wouldn't make sense (on a design level) to put the text on the far left or right. There's nothing to emphasize on either side since the point of the background here is just to add some colour and style. With this button, both the white flower on the right and the text act as focal images. When the text is on screen, it's the focal point, but when it fades and we only see the background, then the white flower also acts as a secondary focal point. Here, the text isn't the focal point - it's the palm tree on the left and the building on the right. While the text could have been placed on top of the tree (making the building the only focal point), putting it in the middle centers the two images. Always capitalize those pesky small fonts. Are your using Bangalore or 04b03? Then be sure to type in all capitals when making your button. For example, you'd be writing "BUTTON TEXT" instead of "Button Text". Small fonts like the ones I mentioned are easily read when they're in all capitals. On the other hand, what about using "large" fonts like Georgia, Impact, or Hand of Sean? My tip is that generally you'll want to type in lowercase to save some room. Of course, that doesn't hold true for all fonts. Certain large fonts look best in all capitals, like Impact, while Hand of Sean looks nicer in lowercase. Don't forget your "inner" border! Sometimes a white inner border isn't needed, but don't underestimate the "power" of it! It helps distinguish the outer border from the button base and helps frame the image. Even if it's set to overlay or soft light, or if the opacity has been reduced, the white border is still an important part of your button. You'll definitely want to experiment and see whether or not your outer button border is strong enough before you ditch the white inner border. Need a placeholder? Want to create your own button? Here's where I'll be keeping button resources. Feel free to edit these as much as you want, but credit is still needed. These blank bases are for personal use only (i.e. link back buttons). Please do not use them for requests. Some of these are simply edited, while others are more "finished (ex. includes a border). To use these button bases, save them to your computer (as a PNG file). This F.A.Q is a supplementary to the list of rules found on the requesting page. These don't have to be read, but it provides a lot of useful information! If you still need additional help, you're always welcome to send in a neomail. How can I fill out my form so that it's easier for you to follow/understand? You can see this page for "examples" of forms. - If you have a specific image, upload it onto a petpage and include the URL in your form. - If you want me to focus on a particular part of an image, tell me. When I crop, I look for a suitable focal point but it may be different from what you want. For example, "Please crop the image so that it's focussed on the red flower on the bottom left corner." - Include important links. For example, if you want me to follow the colour scheme of your petpage, include that link so that I don't have to go on a hunt to find it. - I work best with Neo-related images, but I can always try to accommodate requesters who want to request something else. - Give as many examples as you can. When browsing through my portfolio, you may find a border style, animation, or colouring that you really like. Be sure to include it because I'd be more than happy to do the same for your request! For example, you might write something like this in your form: I really like the animation style you did for The Lunch Box's button (the purple one). Can you use a similar style, except make the animation a bit slower? - Some fonts won't work with a particular border or image. For example, borders that don't have a lot of "surface space" means that I won't be able to fit long site names or use large fonts (I'll be limited to using pixel or "small fonts" instead. However, I may be able to use a "large font" for the first letter of your site name. - When choosing your image, make sure it's high-quality. A high-quality button base will produce a crisper image when the button is finished. I'm confused! What are all the different types of button forms? There's so many! It may seem daunting to be presented with 3 different button request forms, so here's some detailed information on each one. Who doesn't love a good surprise? Using this form means I get to choose image, border, and animation. The only thing you supply is the text that will be on the button. I recommend this form to people only if you've browsed through my portfolio and like my "style" of buttons. Also, your button probably won't "match" your layout (ex. colour scheme, image). The idea of "claiming" a request was originally created by Zelda for her site, Add A Name Petpages. At Open Eyes, you get to "claim" a fully finished button base. All I need to add is animation and your text. Once a base has been "claimed", it gets taken off the list so no other site will have the same one as you! The finished bases are a great way to request because it ensures that you already know what the button looks like. Those of you who know exactly what you want your button to look like will use this form because you get to choose everything (image, border, animation, text). Should I read the rules every time I request or only the first time? Absolutely. The rules are constantly updated (almost on a weekly basis). Whether it's your first time sending in a request or your 20th, please read the rules before sending in your form! Can I send in a request from my main and side account?? No. Because each person is only allowed one request per week, sending a request from your main and side account is unfair to other requesters. I only accept one request per person, per week. If I send in my forms when requests are "closed", can't you just hold my requests until they're open again? No. I don't "hold" requests because this isn't fair for all requesters. Requests are only accepted if the status is open. Oops, I forgot the read the rules but I already sent in my request. What happens now? - Your form will be placed on hold until I hear back from you. If you reply after I close requests, I will ask that you wait until they open again the following week. - Your request will remain at the end of the waiting list and any new forms I receive will automatically be pushed ahead of yours. - Your finished request will not be accepted for edits. Open Eyes' Guarantee only applies to those who read the rules correctly the first time. I found a button from another site that I really like. Can you make one in a similar style? In general, no. For the most part, I'll use a similar colour scheme if you like, but please note that I do not make graphics according to other sites. I have my own style so please take a look through the portfolio. Though I dislike making a graphic based on other people's work, this is completely fine if you happen to like something I've already made. For example, if you liked a particular font, border style, or animation that I've used for another button, then feel free to make note of this in your form! What is Open Eyes' Guarantee? Like TLB's Guarantee, this is just basically a way to ensure that you get the best possible button you could want. My aim is to increase the interaction between the requester and the button maker, so that you end up with a finished product you'd use on your site. If your button is completed and you're not 100% satisfied, you're always welcome to send in a neomail to get it re-done, provided you read the rules the first time around. Do you make buttons for any type of site? - Other button request sites: you should be making your own buttons and using ones not made by you is false advertising! - Sites with stolen content: I do take a brief look at your petpage when I receive your form. If your site has stolen content, it will be immediately rejected. - Sites that already have 10 or more buttons that say the same text. Why do you ask whether or not I'll use my button? I honestly don't mind if you'd rather not use the button. However, I put a lot of time and effort into each button. I can't "force" you to use it so if you don't like the finished result, let me know. I can then re-use the base as a custom base claim, or maybe use it for future resources (ex. placeholders). It seems like a huge waste if a button just gets deleted. What if I don't want to use the button you made me? Tell me. In my confirmation neomail, I ask that you reply if you've picked up the button, but also if you decide not to use it. That's completely fine. Please let me know if you don't want to use it because then my work will have been wasted. I can re-use the base for someone else's button. This General F.A.Q is here to answer your miscellaneous questions about the site. If you're still feeling a bit curious, why not send in your own question? Can I use a similar requesting style where visitors "claim" a specific button base/graphic? No. Allowing other sites to use this style of requesting is not up to me to decide. I received written permission from Zelda (who came up with the concept), allowing me to incorporate her original ideas to my site. If you are interested in using a similar requesting style, you must neomail her before using this request style at your site. The permission to use the "claiming" method of request was given to me only, so please respect her decision and do not immediately use this idea thinking that "anyone" can use it. How do I credit one of your buttons? Buttons by (site name), (site name), and (site name). Can I use your button borders? That depends. Hover over the button border to see if it's an "Original OE" border, meaning it was created by me for this site. If you would like to use an original border design, you must contact me first. If you have permission, you can use it for your buttons, but please do not offer any original OE borders as button options. In other words, you can use original borders for things like "Site owner's pick". Even if a button border is not an original concept, please don't take them just to trace over it and make your own borders. Try creating your borders by hand because then it'll look slightly different and more personalized. What are your requirements for affiliates? - Site must be completely established (i.e. finished layout, open service, a fair amount of content). - High-quality content and/or service. - I'm mainly looking for button sites, but I will take a look at all forms. What's the difference between a "top affiliate" and other affiliates? A Top Affiliate is a site that's more active while other affiliates are less active. This is only for sites that rely on activity, such as request sites and graphics/premade sites. Why did you delete my button? The only circumstance where I delete someone's button is if they haven't responded to their "pick-up" neomail within 7 or more days. I take this as a sign that they don't want to use the button and so I delete the request and re-use the base (for things like custom base claims or resources). Whenever I finish a request, the neomail I send out asks you to confirm that you're picking up and using the button or not using the button. Do you have any "inspiration" when it comes to making buttons? In general, I pretty much use the same colouring style and editing techniques that I use for my graphics at TLB, so I don't get a lot of inspiration there. However, there's a small list of button sites that I think are absolutely fantastic. Box stands out the most simply because the buttons are simplistic, yet unique and elegant. Can you teach me how to make a button? Visit A Button Collection, a guide that I wrote. Do I have to read the story in order to request? Not at all. The story is a supplementary and it's here for your entertainment only! When creating this site, I thought "how can I make requesting more personal and interesting?" Well, having a "choose your own adventure" style of request is one way. If you're familiar with The Lunch Box or Frequent Flyer, you'll probably notice me trying to tie all of the stories found at these three sites together. What if my button gets deleted? Do you have the original file? I don't use Tinypic (which randomly deletes image files) and I have a Pro Photobucket account. I don't delete any old buttons so there's no danger of losing your request. I'll keep the original PSD file for months at a time, but if you're worried about losing your button, feel free to save it and upload it onto your own image host. There are two ways to request a button at this site: the tradition "click on the 'request' tab" and send in your form, or the story route, which it much more interesting! Since there are three forms to choose from when sending in a request, there are three possible story "endings" that you could encounter when you pick up your finished button. There's no "good" or "bad" ending as there's supposed to be a meaning for each one. Spoiler alert! For those of you who don't want to read all of them (or who chose not to request using the "story" route), here's a very quick summary. -	You chose to have complete control over your dream (button). -	Turnip will mention how even though you seem to know a lot about your dreams, her interpretations may still offer you something valuable. -	At the beginning of the epilogue, you travel to Turnip's house (it seems as if you two became close friends since you knew the location). -	When you ask Turnip about her past life, she will appear content and notes that she is constantly moving from place to place. You somehow get the impression that while she feels burdened by her situation, she has accepted it. -	After Turnip explains the meaning of the quote, she will let you know that you're a "dreamer of the day" because you chose to take action and make your dreams possible. -	You chose to have some control over your dream (button). -	Turnip will muse over the fact that a dream that seems "surreal" and "lifelike" at the same time is rare. -	At the beginning of the epilogue, you're in search of Turnip. You find her walking along the same path where you got lost before and she invites you back to her house for a chat. -	When you ask Turnip about her past life, she'll appear very cheerful, stating she loves travelling and meeting new friends. -	After Turnip explains the meaning of the quote, she will let you know that you're both a "dreamer of the day and of the night" because you not only make your dreams come true, but you're also comforted by the fact that sometimes dreams are just meant to be experienced and not realized. -	You chose to have no control over your dream (button). -	Turnip will note how it's interesting that you knew you were dreaming and yet chose not to take control of it, mentioning that she thinks you're very brave. -	At the beginning of the epilogue, you're sitting on the beach watching the sunset when Turnip shows up and sits down for a chat. -	When you ask Turnip about her past life, she appears regretful and you get the feeling that she's not entirely happy with her constant travelling. -	After Turnip explains the meaning of the quote, she will let you know that you're a "dreamer of the night" but she tells you not to be discouraged. Just because our best dreams are the ones that can't come true, doesn't mean we should forget about them entirely. High-quality content. High-quality service. These are two things that I want Open Eyes' custom graphics to reflect. To reply by neomail as soon as I receive a form. I want to open a line of communication between the site owner and the requester so that there's no confusion on either part. In your confirmation neomail, I will also tell you to expect another neomail from me when your item's ready for pick-up. As a visitor, you should know that you're being taken care of and are in good hands. To provide high-quality content. I won't be doing anything halfway. You've taken out the time to fill out a form, so I'll take the time to make you what you deserve – an awesome button! If the finished product looks 90% great, then that's not good. I'll start over and experiment with new textures, choose other fonts, and crop the images in a different way so that in the end, your request will meet a high standard. Think "Kilimanjaro" high. Yup, that's pretty high. As a visitor, you deserve no less than the best. To provide quick service. As soon as the confirmation neomail is sent, I start your request right away and don't stop until it's completely finished, uploaded, coded, and posted in the pick-up area. Any request that takes longer than two days is a failure on my part. As a visitor, you shouldn't have to wait a week for a button. To provide fair service. I work on a first come, first serve basis - I don't "pick and choose" what I "want" to make because this isn't fair for you if you don't get picked. I make sure that all of the rules at this site are fair for both myself as the site owner and button maker and you as the requester. Also, I make sure that requests are open for at least 24 hours. This allows people living in different time zones to get in their requests. As a visitor, you should have fair and easy access to this service. To cater the request to your needs. Don't like that font choice? Want more textures added? Want me to take away the border? Experiment with a different animation? Consider it done. Just because your request is in the pick-up area, doesn't mean it's finished. Take some time. Look it over. If you're 100% satisfied with the result, awesome! If you're 99% satisfied, stop right there. Send me a neomail and I'll get it fixed. Don't worry; I won't complain if you want me to change something. In fact, I'd be more than happy to! As a visitor, you should never be afraid to voice your opinions. Layout v9. (hope) Springs (temporary) designed and coded by Turnip for Open Eyes (faerie PNG from Details; texture from deviantArt; font by Dafont). Story mode and OE's Promise are original ideas created for this site. The idea of "claiming" requests was originally created by Zelda and it is used at this site with her written permission. You are not allowed to use a similar style of requests unless you have contacted her and she has given you explicit permission to do so. 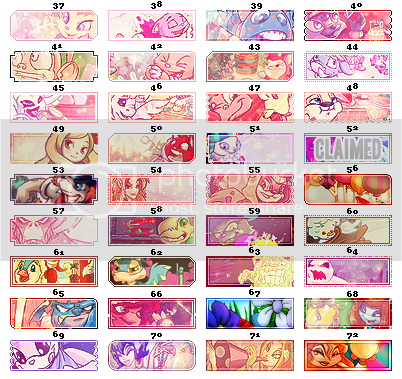 Some PNGs from tokiobsession at dA. Pixel/web resources used are from The Lunch Box. Button borders in the request area are purely there for requesters only. Please do not take any of them to "trace" borders for your own site. Curved border and shine tutorial learned from Perfect Symmetry; "trailing light" animation inspired by Illusion. The quote used around the site ("All men dream: but not equally...") is by T. E. Lawrence from his novel, "The Seven Pillars of Wisdom". Special thanks to the lovely folks at Studio for providing me with ideas for the premade button section. Portions of the premade section inspired by Spectrum. Open Eyes opened on January 1st, 2012. We all dream, but not equally. The important thing to ask ourselves is will we dream with open eyes?